Are Terrorist Behind these Fires? ARE TERRORISTS SETTING U.S. WILDFIRES? 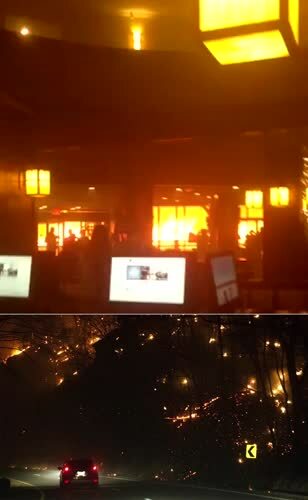 Dozens of people were trapped inside the Gatlinburg Park Vista Hilton Hotel last night as smoke and flames from a wildfire licked the building (top). Thousands of tourists and residents have fled the resort town in the Great Smoky Mountains as it is engulfed by a wildfire driven by 80mph winds. Locals report cars bursting into flames, the sky brown with smoke and flames closing in on homes around the resort towns of Gatlinburg and Pigeon Forge on Monday. Motorists clogged the roads after the Gatlinburg Fire Department ordered the mandatory evacuation of the town at just after 6pm, as strong wind conditions fanned the flames making the fire increasingly unpredictable and dangerous. One of the things that I try to do with The Plain Truth is educate our readers in the tenants of propaganda. We are surrounded by “lies, damn lies and statistics,” as Mark Twain once said, which those who try and control us twist these lies into “facts” in order to change our behavior, tax us, and ultimately control us. I proved this with the argument concerning smoking. We are lied to about the effects of smoking, not because smoking is really bad for us, but rather because our government and elite to control our behavior and TAX us! Are you a little shocked? The Plain Truth that is when experts use "average life expectancy" numbers, they are so low because they include the number of babies who die at or just after birth (infant mortality) and the number of children who die very early in their lives (before 5). Infant and early childhood mortality was much higher in earlier centuries and millennia for all races and ethnicities than today for all types of obvious reasons. Also, because of the miracles of modern TRAUMA CARE, accident victims live today when even 25 years ago, those patients would die! The only miracle in medicine really isn’t modern drugs, but rather modern trauma care! We see this in the Iraqi war. The deaths were 5X’s lower than VietNam, but injuries of those who may have died in Vietnam, but through modern trauma care survival rates reached 35,000 by 2010! So potentially, if this war was fought in 1865, 45,000 may have died young in this same war! The truth is that if you lived to age 5 in Roman times, and were a man, you didn’t die in a battle somewhere, you probably would live to age 75! If a women, and didn’t die in childbirth, your average life was about 79! I know this isn’t what you have been told, but again, what you are often told is a LIE! “Sin is the transgression of the Law.” You can find that and one 1 John 3:4. It is the only definition of what sin is! One sins, only when they break the Law of God, in Hebrew known as the Torah, summed up in the Ten Commandments. John also tells us that if we confess our sin, God will forgive us. If we say we have no sin, then there is no forgiveness. 1John:5 “This is the message we have heard from him and declare to you: God is light; in him there is no darkness at all. 6 If we claim to have fellowship with him and yet walk in the darkness, we lie and do not live out the truth. 7 But if we walk in the light, as he is in the light, we have fellowship with one another, and the blood of Jesus, his Son, purifies us from all sin. This article is not about homosexual marriage, or about the role of homosexuality in government. This article is about what God has to say about homosexuality, about sin in general, and what is The Plain Truth about the matter. Often, many Christians want to demonize homosexuality - by making it a far worse than any other sin; But biblically that is a false teaching, and it is not accurate at all. 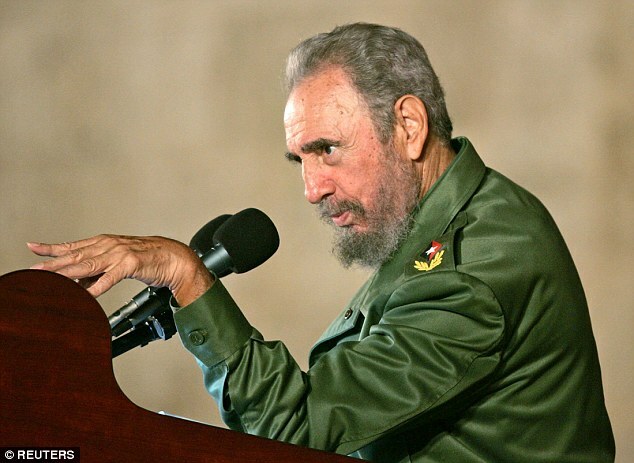 Bearded and ferocious, Fidel Castro ruled Cuba unchallenged for nearly half a century. He seized power with a band of revolutionaries in 1959, so determined to create an egalitarian paradise that 'socialism or death' became his rallying cry. He most famously was at the centre of the Cuban missile crisis which brought the US and the Soviet Union to the very brink of nuclear war. The world held its breath for 12 unbearably tense days in October 1962 after President John F Kennedy discovered that Kremlin leader Nikita Khruschev was placing nuclear missile installations on the island, just 90 miles from Florida. The crisis - probably the most perilous time of the entire Cold War - was abated only when Khruschev backed down and said the installations would be dismantled. 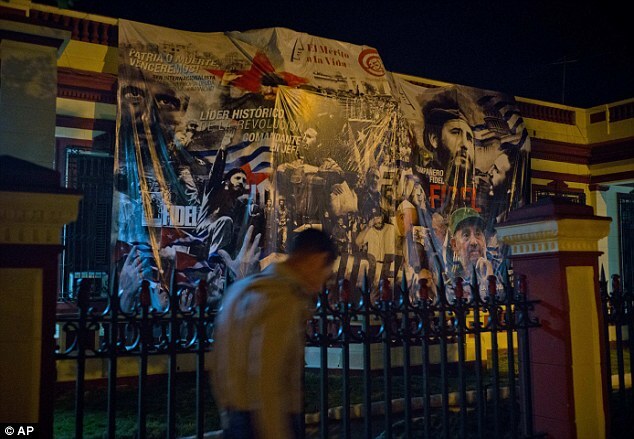 When Castro, and his Marxist revolutionary friends, seized power, he proceeded to nationalise factories, plantations and all American property, leading to relentless hostility towards him from the United States. The CIA tried all manner of ways to assassinate him, including a bizarre exploding cigar, designed to detonate when Castro puffed on it, and booby-trapped seashells in spots where he used to enjoy diving. In 1961, US-backed Cuban exiles tried to invade the island at the Bay of Pigs, but forces led by Castro successfully fought them off. 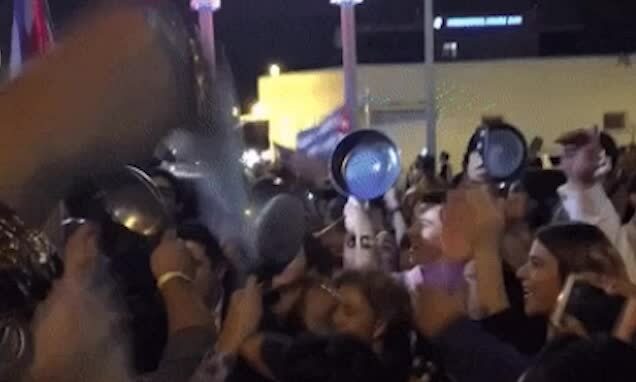 Cubans living in Miami celebrated the death of communist dictator Fidel Castro early Saturday morning with a traditional commemoration: banging pots and pans.Hundreds of people took to the streets in jubilance after it was announced that Castro had died at age 90. As people banged the kitchenware rhythmically in Little Havana, others danced in the streets and held their cellphones in the air to record the historic moment. A call has been mounted for US sanctions against Cuba to be lifted 'definitively', following the death of Fidel Castro. World leaders have said the Communist heavyweight's death at the age of 90 should spell a new era for the island. Speaking at a summit in Madagascar today, French President Francois Hollande said today that the ongoing embargo by the US 'punishes' Cuba and should be lifted once and for all. The US severed diplomatic ties in 1961, banning all exports to Cuba except for food and medicine. Castro, who stepped aside 10 years ago, remained hostile to Washington throughout his life. Should You Celebrate Thanksgiving Day? Thanksgiving Day, as celebrated in North America, is a time to gather with family and friends to give thanks for the many blessings enjoyed by these nations and their citizens. However, to many people, its meaning is lost. It has become simply another day for huge meals, dinner parties, get-togethers or reunions. What does Thanksgiving mean to you? Turkey dinners, cranberries, candied yams, stuffing, mashed potatoes, pumpkin pie and family gatherings—these are all commonly associated with most Americans’ and Canadians’ yearly celebration of giving thanks—Thanksgiving Day! 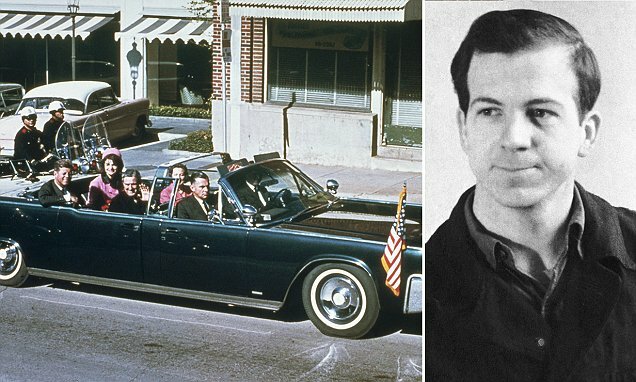 The image of a smiling and waving John F Kennedy in his presidential limousine moments before he was assassinated is burned into the national consciousness. We all know the outcome of that tragedy, but one of the key pieces of evidence from the day - the Lincoln limousine - went on to serve four more presidents before it was finally retired in 1977. The car draws crowds at the Henry Ford Museum in Dearborn, Michigan, where it ended its long journey. When President John F Kennedy was assassinated in 1963, he was riding in a motorcade through Dallas in the 1961 Lincoln Continental four-door convertible. Completely open at the top, the car, code-named X-100, had no armor or bullet-proof elements whatsoever, a fact incomprehensible today. Corruption that is Killing You! Earlier this year, the Environmental Protection Agency put out a notice that appeared to strike fear in the agricultural pesticide industry, or the crop-protection industry, as they like to call themselves. In July, the EPA announced its plans to review the carcinogenic potential of glyphosate, the the most-used pesticide in the world and primary ingredient in Monsanto's Roundup. Reviewing glyphosate's cancer-causing potential would be the responsibility of nearly a dozen scientists handpicked by the EPA, including Dr. Peter Infante, an epidemiologist, environmental health researcher, and consultant who spent over two decades working for the federal government in the Occupational Safety and Health Administration. Infante, according to the EPA's glowing descriptions of him, "played a major role in determining cancer and other risks to workers during the development of standards for a number of toxic substances, including asbestos, arsenic, benzene, cadmium, ethylene oxide, formaldehyde, lead and MDA." 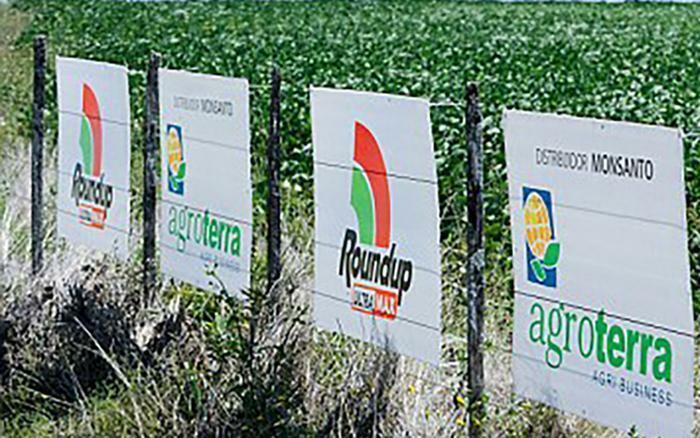 Whether or not glyphosate is a carcinogen is still debated among researchers and agencies. In the past year, separate panels working for the World Health Organization issued two different opinions on the matter. Would JFK Have Left Vietnam? In his essay “Mac Bundy Said He Was ‘All Wrong’” [NYR, June 10], William Pfaff claims that Gordon Goldstein’s book Lessons in Disaster: McGeorge Bundy and the Path to War in Vietnam “should settle for good the controversy over whether President Kennedy, had he not been assassinated, would have enlarged the war or would have withdrawn the still-limited number of American troops in Vietnam.” Pfaff writes that the “Bundy material” collected by Goldstein is “conclusive” and demonstrates that Kennedy had made a decision to disengage from Vietnam. I believe this to be facile in the extreme. HOMESTEAD, Fla. -- The people who had crowded into Jimmie Johnson's pit box erupted in cheers and tears, doling out high-fives and bear hugs as the driver clinched his record-tying seventh Sprint Cup championship. Johnson could only muster a single sentence: "I don't even know what to say." Fortunately, plenty of others were more than willing to do the talking. Four-time champion Jeff Gordon, who stood on Johnson's pit box for the race's final laps, was among those grinning, shaking hands and also shaking his head. He knows about the significance of Johnson's run having competed against all three of NASCAR's seven-time champions from his first race (in 1992, which was Richard Petty's last) to years of competition with the late Dale Earnhardt to more recent seasons battling with his Hendrick Motorsports teammate. "I'm just in disbelief the way this race unfolded," a grinning Gordon said of the amazing three-lap race to the finish -- the only laps Johnson led all day after starting last in the 40-car field. "… Jimmie wanted that thing. He wanted that seventh championship and he got that seventh championship done. He deserves it. Just an amazing experience." After the celebratory burnouts and champagne spray, Johnson took the stage to hoist what is now very familiar hardware to him. And drivers and friends stopped by to give NASCAR's greatest active champion his due. Fellow championship contenders Joey Logano (who finished fourth) and Kyle Busch(who finished sixth) were among the first to seek him out. Dale Earnhardt Jr., the sport's 12-time Most Popular Driver, was among those who made a point to see his Hendrick teammate Johnson. First he came out with the Passion of the Christ: a mega box office hit that vividly brought the life, death, and resurrection of Jesus Christ to the collective conscience of America, and perhaps the world. Now he comes back with Hacksaw Ridge. This blockbuster masterpiece portrays the bravery and faith of a humble Seventh-day Adventist Christian who chose to go into battle without a gun. The attention now being focused on God's Sabbath, as a result of Mel Gibson's Hacksaw Ridge, could not have come at a more prophetic time. As the call for universal Sunday sacredness is pushed upon the world by Pope Francis and his papacy, the God of all creation, through His servant Mel, has brought His mark of authority, His Seventh-day Sabbath, before the world. Perhaps unknown to Mel Gibson, Creator God is using him to accomplish His purposes in His Divine plan for the salvation of His human family. Hacksaw Ridge presents both conflict and opportunity. It brings to view a conflict of apocalyptic proportions in which each viewer of Hacksaw Ridge will have opportunity to choose: either the Creator's Sabbath or Pope Francis' Sunday. What will your choice be? Where do I begin? Warren Buffett has long been the media darling of billionaires. Their dishonesty about reporting the Plain Truth about this scoundrel has hurt countless thousands. While the far left media trashes Donald Trump's business bankruptcies, they ignore Buffett's scandals. Warren Buffett, often held up as a God, known to lecture investors and corporations alike on good behavior, but few realize his company, Berkshire Hathaway Inc. (BRK-A), hasn’t paid a dividend since 1967! In November, Warren Buffett admitted in the New York Times, absent the government handout, Berkshire Hathaway would have gone bankrupt! This means, if not for a government bailout, he would have been history! Maybe a great reason why he's in bed with the Demz in government? The Keystone pipeline has made Buffett even richer. Ever wonder why Obama and the Democrats stopped the Keystone pipeline, that would have provided thousands of jobs? It was for Warren Buffett, whose railroad BNSF has made billions in transporting the same oil that would have been in the pipeline, with their rail cars! Click here for that story! Warren Buffett likes taxes - as long as other pay them: Yes, the guy who doesn't mind tax increases on the rich, doesn't really even pay his taxes. Higher taxes? They're for other people. People who don't have Obama's private phone number. There are are two recent cases where Warren has done everything possible to AVOID paying taxes that he actually owes. The first case involved a 14-year fight over the dividend-received deduction that was finally settled with the IRS in 2005. The second case is still pending after 10 years in which he owes just over $1 BILLION in back taxes. Everything about this crook is a lie. That's why he is a Democrat. Liars love other liars. Don't be fooled! Warren Buffett's secret to staying young: "I eat like a six-year-old." The world's earliest-known complete stone inscription of the Ten Commandments, described as a 'national treasure' of Israel, has sold at auction in Beverly Hills for $850,000 (£682,489). 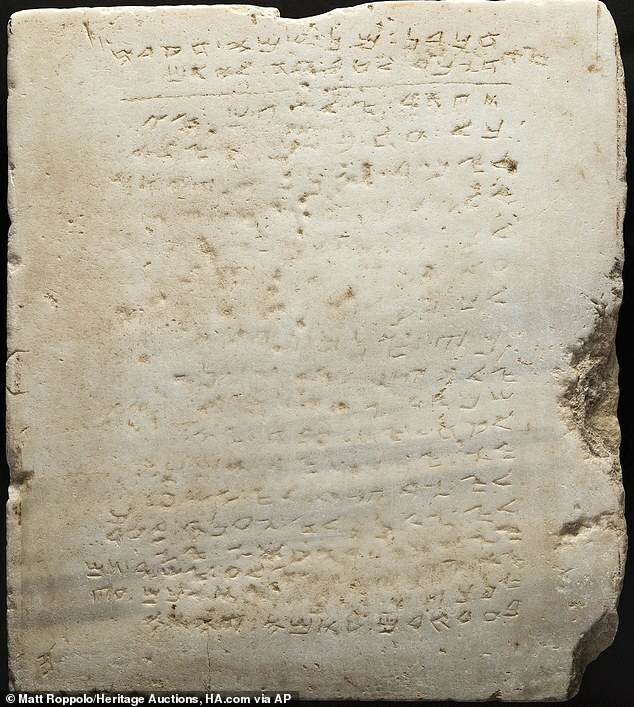 Heritage Auctions said the 2ft (0.6m) square marble slab sold at a public auction of ancient Biblical archaeology artefacts. The 4th century AD tablet weighs about 115lbs (52kg) and is inscribed in an early Hebrew script called Samaritan. The tablet likely adorned the entrance of a synagogue that was destroyed by the Romans between A.D. 400 and 600, or by the Crusaders in the 11th century, said David Michaels, Heritage Auctions director of ancient coins and antiquities. The auction house said the Israeli Antiquities Authorities approved export of the piece to the US in 2005. The only condition was that it must be displayed in a public museum. 'The sale of this tablet does not mean it will be hidden away from the public,' Michaels said. The 2ft (0.6m) by 2ft tablet was uncovered in 1913 during excavations for a railway station near Yavneh in Israel. 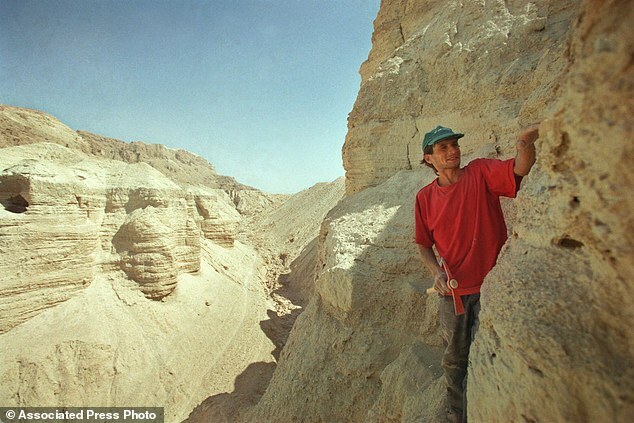 Israel is embarking on a major archaeological expedition to find yet undiscovered Dead Sea Scrolls, an Israeli antiquities official said Monday. In a move that is bound to stir controversy, the researchers may also excavate Dead Sea-area caves in the West Bank, Ganor said. Israel captured the West Bank in the 1967 Mideast War, and the Palestinians want the territory to establish an independent state. 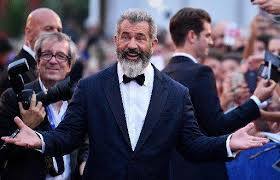 Film maker, Mel Gibson, marvels at Desmond Doss' strong Christian faith. In talking of how Doss was able to go to war unarmed, Gibson declared that it was because he relied strongly on God. He remarked, "It's undeniable what the essence of Desmond Doss was. He was a man of great courage and strong conviction and strong faith... that was really his core value, and to operate from a place of love..." That faith is rooted and grounded in Desmond Doss' lifelong commitment as a Seventh-day Adventist. However, there was another commandment that Desmond took just as seriously as the sixth. It was the fourth commandment. His religious upbringing included weekly church attendance, on the seventh day. The Army was exasperated to discover that he had yet another personal requirement. He asked for a weekly pass so he could attend church every Saturday. He made the right choice. As our nation celebrate those who have served in our armed forces and sacrificed for our freedoms, Director Mel Gibson has brought to view the story of Desmond Doss in the movie, Hacksaw Ridge. Hacksaw Ridge, is the extraordinary true story of Desmond Doss, who, in Okinawa, during the bloodiest battle of WW ll, saved 75 men without firing a shot or carrying a gun. He was the only American soldier in WW ll to fight on the front lines without a weapon, as he believed that while the war was justified, killing was nevertheless wrong. As an Army Medic, he single-handedly evacuated the wounded from behind enemy lines, braved fire while tending to soldiers and was wounded by a grenade and hit by snipers. 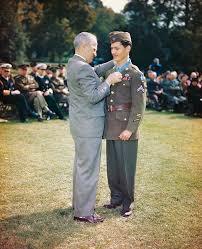 Doss was the first conscientious objector awarded the Mel Gibson, Congressional Medal of Honor. Desmond Doss had been raised with a fervent belief in the Bible. When it came to the Ten Commandments, he applied them personally. During childhood his father had purchased a large framed picture at an auction. It portrayed the Ten Commandments with colorful illustrations. Next to the words, "Thou shalt not kill" was a drawing of Cain holding a club and standing over the body of his dead brother, Abel. Little Desmond would look at that picture and ask, "Why did Cain kill Abel? How in the world could a brother do such a thing?" In Desmond's mind, God said, "If you love me, you won't kill." With that picture firmly embedded in his mind, he determined that he would never take a life. However, there was another commandment that Desmond took just as seriously as the sixth. It was the fourth commandment. His religious upbringing included weekly church attendance, on the seventh day. The Army was exasperated to discover that he had yet another personal requirement. He asked for a weekly pass so he could attend church every Saturday. Elijah thought that there were no others, that he was "alone." He traveled to Mt Sinai to talk with God, complain to God and actually see God Almighty (we know that this "God" was the one who would become Jesus- the Yahweh of the Old Testament). He told God to His face, "they have killed every one of your prophets except me, and only I am left ALONE...." He thought he was all by himself..... The rest of the story is below, but the funniest part is God's sarcastic reply to Elijah: "And incidentally, there are 7,000 men in Israel who have never bowed to Baal nor kissed him!” You see Elijah thought he was alone - God knew better and let him! So Obadiah went to tell Ahab that Elijah had come; and Ahab went out to meet him. 17 “So it’s you, is it?—the man who brought this disaster upon Israel!” Ahab exclaimed when he saw him. 20 So Ahab summoned all the people and the prophets to Mount Carmel. 22 Then Elijah spoke again. “I am the only prophet of the Lord who is left,” he told them, “but Baal has 450 prophets. 23 Now bring two young bulls. The prophets of Baal may choose whichever one they wish and cut it into pieces and lay it on the wood of their altar, but without putting any fire under the wood; and I will prepare the other young bull and lay it on the wood on the Lord’s altar, with no fire under it. 24 Then pray to your god, and I will pray to the Lord; and the god who answers by sending fire to light the wood is the true God!” And all the people agreed to this test. 26 So they prepared one of the young bulls and placed it on the altar; and they called to Baal all morning, shouting, “O Baal, hear us!” But there was no reply of any kind. Then they began to dance around the altar. 27 About noontime, Elijah began mocking them. 28 So they shouted louder and, as was their custom, cut themselves with knives and swords until the blood gushed out. 29 They raved all afternoon until the time of the evening sacrifice, but there was no reply, no voice, no answer. And they all crowded around him as he repaired the altar of the Lord that had been torn down. 31 He took twelve stones, one to represent each of the tribes of Israel,[b]32 and used the stones to rebuild the Lord’s altar. Then he dug a trench about three feet wide[c] around the altar. 33 He piled wood upon the altar and cut the young bull into pieces and laid the pieces on the wood. After they had done this he said, 34 “Do it again.” And they did. “Now, do it once more!” And they did; 35 and the water ran off the altar and filled the trench. 38 Then, suddenly, fire flashed down from heaven and burned up the young bull, the wood, the stones, the dust, and even evaporated all the water in the ditch! 40 Then Elijah told them to grab the prophets of Baal. “Don’t let a single one escape,” he commanded. So they seized them all, and Elijah took them to Kishon Brook and killed them there. 45 And sure enough, the sky was soon black with clouds, and a heavy wind brought a terrific rainstorm. Ahab left hastily for Jezreel, 46 and the Lord gave special strength to Elijah so that he was able to run ahead of Ahab’s chariot to the entrance of the city! 3 So Elijah fled for his life; he went to Beersheba, a city of Judah, and left his servant there. 4 Then he went on alone into the wilderness, traveling all day, and sat down under a broom bush and prayed that he might die. “I’ve had enough,” he told the Lord. “Take away my life. I’ve got to die sometime, and it might as well be now." 5 Then he lay down and slept beneath the broom bush. But as he was sleeping, an Angel touched him and told him to get up and eat! 6 He looked around and saw some bread baking on hot stones and a jar of water! So he ate and drank and lay down again. 8 So he got up and ate and drank, and the food gave him enough strength to travel forty days and forty nights to Mount Horeb, the mountain of God, 9 where he lived in a cave. 11 “Go out and stand before me on the mountain,” the Lord told him. And as Elijah stood there the Lord passed by, and a mighty windstorm hit the mountain; it was such a terrible blast that the rocks were torn loose, but the Lord was not in the wind. After the wind, there was an earthquake, but the Lord was not in the earthquake. 12 And after the earthquake, there was a fire, but the Lord was not in the fire. And after the fire, there was the sound of a gentle whisper. 13 When Elijah heard it, he wrapped his face in his scarf and went out and stood at the entrance of the cave. America has showed the world that God and morality still rule this nation. I wrote just the other day that God will allow the American people to choose the way of God or the way of Satan. 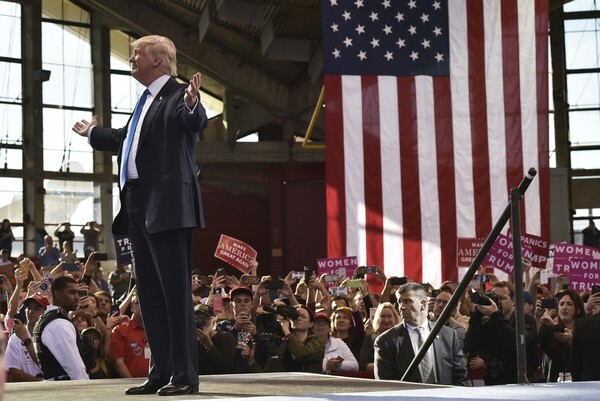 Finally after 30 years of globalist Satantic rule, the good people came forth and elected Donald Trump the 45th President of the USA! Up until Barack Obama, my predictions for the presidency was quite accurate, going all the way to 1976 (wrong only in the 92 election). However, I will admit that I am going into this election totally without a clear idea who will win, and I want to explain why. Back in 1976, I wrote a thesis in college on how a psychological condition known as cognitive dissonance, could explain elections in America. It was based on the theory of cognitive dissonance, which in simple terms simply meant that people in their own life's conflicts, switch drastically like a pendulum on a clock from left to right. After tragedies or other traumatic events occur in their lives, most people try to "get back to normal" but never can. My theory was this applies to nations, and especially nations like America with free elections. In my theory I predicted that America always looked for balance between liberalism and conservatism. However, when we go into the voting booth--- we tend to actually choose candidates that are on the very left, or very to the right! This is the cognitive dissonance theory as applied to nations in the same way it is applied to people. Hollywood, is full of movies based on cognitive dissonance: The whore who becomes the nun... The crooked politician who becomes the honest politician... And stories with a hero or heroine swap from one extreme to another. With that background out of the way, I would normally project as I did in 2012, that this election would be a change election and that America would radically shift back away from globalism, Obamaism and crooked Washington politics. So in a normal year, Donald Trump should win in a landslide as did Ronald Reagan back in 1980. I will admit, that many things about this election looks identical to the situation of 1980. That being said, I am not so sure about this election and I want to explain why. Satan is alive and well on planet earth. 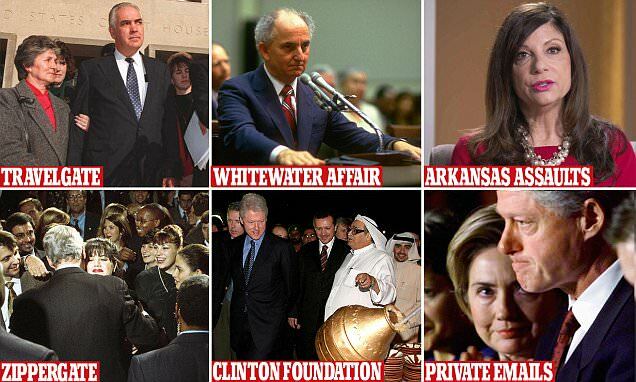 We have in Hillary Clinton, the most evil person to run for office in my memory. It is not hard to figure out that Satan will do for her whatever he can. In the Bible, God blessed Abraham and his children. One child was named Jacob, actually Abrahams grandson. That child had 12 sons himself that became the 12 tribes of Israel. One of those sons, or tribes was Joseph. I won't get into it here but Joseph became the English-speaking people of the world. Joseph's younger son was given the promise by God that his nation would be the single greatest nation to ever exist on this planet. That nation is the United States of America. Every time you see the word "Israel" in prophetic books of the Bible, it applies to the United States of America and to the British Commonwealth--- without exception! It NEVER applies to the Jewish people who came from another son of Jacob called Judah. In fact, you can find in your Bible a time when the people of Israel fought the Jews! In prophecy, God predicts that the tribe of Joseph, us, will someday reject God's laws, God's love, and God's way of life for that of a globalist, Satan inspired, ME-generation society. And when that happens, God predicts that we will be overtaken by the aliens living amongst us, and by evil rulers who will sell us into slavery. So Ahab summoned all the Israelites and the prophets of Baal to meet at Mount Carmel. Elijah went up to the people and said, “How much longer will it take you to make up your minds? If the Lord is God, worship him; but if Baal is God, worship him!” But the people didn't say a word. In the future, when you experience all these blessings and curses I have listed for you, and when you are living among the nations to which the LORD your God has exiled you, take to heart all these instructions. If at that time you and your children return to the LORD your God, and if you obey with all your heart and all your soul all the commands I have given you today, then the LORD your God will restore your fortunes. He will have mercy on you and gather you back from all the nations where he has scattered you. Even though you are banished to the ends of the earth, the LORD your God will gather you from there and bring you back again. The LORD your God will return you to the land that belonged to your ancestors, and you will possess that land again. Then he will make you even more prosperous and numerous than your ancestors! “The LORD your God will change your heart and the hearts of all your descendants, so that you will love him with all your heart and soul and so you may live! The LORD your God will inflict all these curses on your enemies and on those who hate and persecute you. Then you will again obey the LORD and keep all his commands that I am giving you today. “The LORD your God will then make you successful in everything you do. He will give you many children and numerous livestock, and he will cause your fields to produce abundant harvests, for the LORD will again delight in being good to you as he was to your ancestors. The LORD your God will delight in you if you obey his voice and keep the commands and decrees written in this Book of Instruction, and if you turn to the LORD your God with all your heart and soul. “This command I am giving you today is not too difficult for you to understand, and it is not beyond your reach. It is not kept in heaven, so distant that you must ask, ‘Who will go up to heaven and bring it down so we can hear it and obey?’ It is not kept beyond the sea, so far away that you must ask, ‘Who will cross the sea to bring it to us so we can hear it and obey?’ No, the message is very close at hand; it is on your lips and in your heart so that you can obey it. “But if your heart turns away and you refuse to listen, and if you are drawn away to serve and worship other gods, then I warn you now that you will certainly be destroyed. You will not live a long, good life in the land you are crossing the Jordan to occupy. Oh, that you would choose life!!! God is begging us to choose life, but the decision has been left to us! The prophecies concerning the destruction of our nation is going to happen to us someday, but it doesn't have to happen NOW----it is up to us! Tomorrow we will know if America will fall again under God's grace, for a little longer, or if as Garner Ted Armstrong predicted some 25 years ago, Hillary Clinton would be the last president of the free people of America! I ask again, "Choose life and live!"